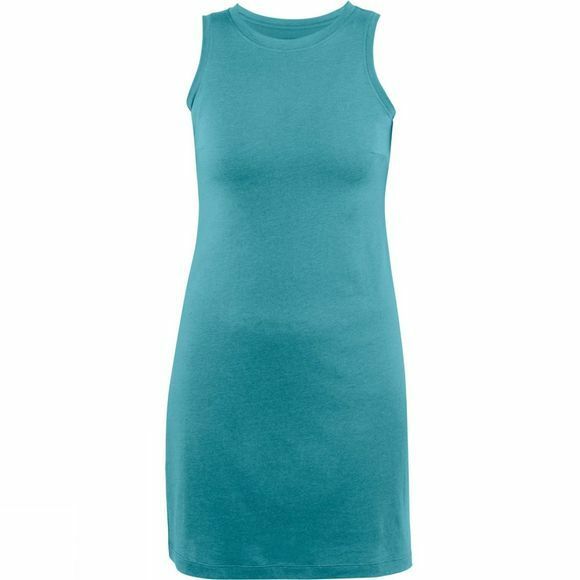 Light and comfortable sleeveless jersey dress for travelling and everyday life in the summer. Made from a light lyocell/cotton blend that drapes well and has a comfortable feel against the skin. The model is knee length with a fitting cut. Wide, round neck with ribbed edging.